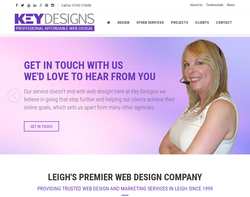 Lancashire Website Designers specialises in offering small businesses professional web design that includes search engine optimisation and on site copy writing skills. Halley's Design is a graphic design company specializing in print, multimedia and website design. Search engine optimisation, search engine marketing and pay per click management by FirstFound, the leading UK search engine consultants. 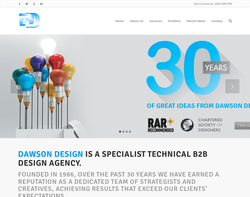 Dawson Design are a multi disciplined Graphic Design and Marketing Communications Agency based in central Manchester. Branding, Advertising, Web design, Marketing. Today it is crucial your website reaches the widest possible audience. 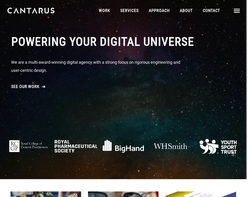 To ensure this our designs are created to strict universal standards recommended by the W3C, Government and Education making our websites compatible with all platforms and accessible to all potential users. 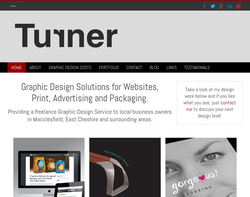 Corporate Identity, Website Design, Search Engine Marketing, eCommerce and Print Design. 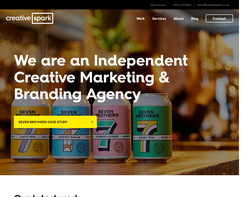 Award winning web design from Creative Spark. Offering fully bespoke solutions that provide technical and marketing capabilities. We build sites using a number of the latest development platforms. 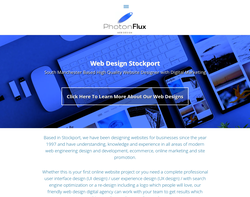 Full web design and development services for businesses across the UK including Manchester. 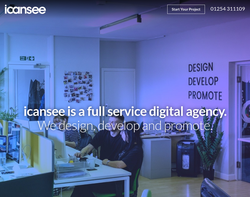 Eye catching website design Whether you�re looking for a simple affordable 3 page website or a bespoke eCommerce project. 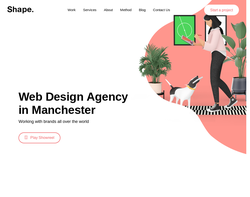 We pride ourselves on offering our clients affordable, high quality web design that will perform for your business in both the short and long term. 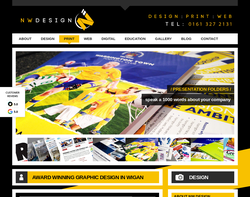 All of our websites are built Search Engine Friendly as standard. We also offer a range of on-going SEO (Search Engine Optimisation)campaigns to stabilise and enhance your rankings in the leading search engines. 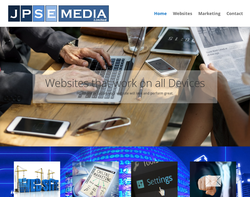 Add to this affordable in-house website hosting and you have the perfect platform from which to launch your online presence. The best web design and development company, with the added bonus that we know how to market our client's websites so they actually get seen. 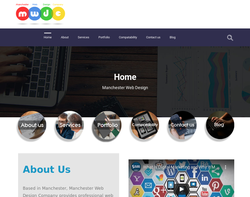 Manchester Web Design Company is the blog of a well known SEO company based in Manchester. The blog includes relevant information,tutorials and tips about web design and websites for people who want to increase their knowledge or who are just beginners in the IT industry. 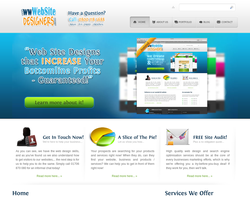 The blog is written by specialists who have knowledge about CMS systems, CSS3, HTML and more. 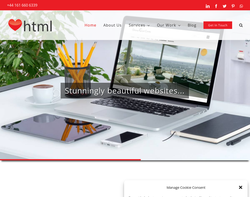 Platform81 create websites on various platforms from Magento to WordPress and Joomla to brochure websites. 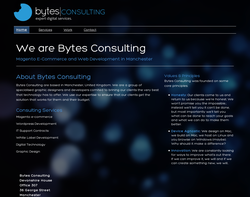 Bytes Consulting is a Magento E-Commerce and Web Development creative digital agency based in Manchester. We pride ourselves in solutions that meet and exceed our clients expectations. We offer services to end clients, trade clients and international clients as well so we are certain to have the right combination of services for what you require. 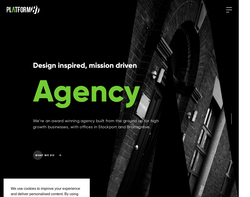 We are an independent, full service design and technology agency, passionate about pursuing cutting edge design and technology. Welcome to Nuttersons! 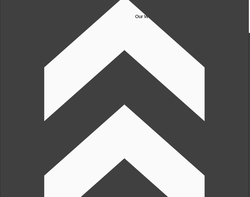 We are a creative agency located in the heart of Manchester. 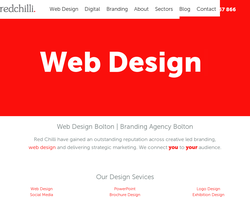 We specialise in creating websites that exceed our client�s expectations. 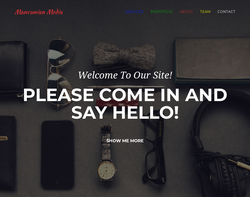 We do this by making visually stunning websites that have a great online presence and provide your visitors with an unforgettable experience. 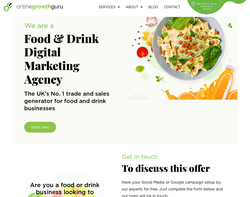 Offer bespoke web design services to companies throughout the UK, as well as banner design, logos, award winning Search Engine Optimisation (SEO) and many other online design & marketing methods. 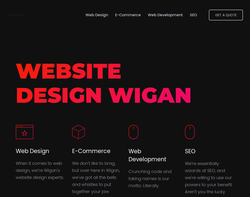 We are tsh.design a Wigan based creative web design agency, we offer a large range of creative solutions including: web design, web development, search engine optimisation and hosting throughout Wigan and the surrounding areas. 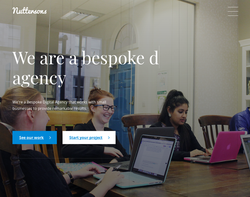 Lyseis Marketing is UK based IT company which provides you various services like Website Design and Development, SEO services, Mobile Application Development, Email and SMS marketing at reasonable prices. It also offers you on location and event photography. It has team of qualified professionals to satisfy your business requirements. 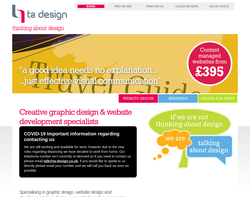 Shape offer bespoke website design and development solutions for clients of all sizes. 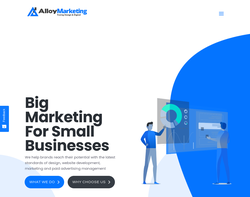 Alloy Marketing Ltd provide web design, graphic design, hosting, marketing and SEO services to business of all sizes. 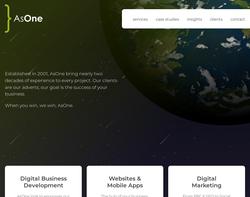 With 10 years experience behind us, we see the full marketing picture, connecting all the dots to ensure that our client's enjoy the strongest digital presence and the best visibility. We offer a range of existing marketing packages, but maintain a flexible approach so that no matter what budget our clients have we fine tune our work to deliver the best return on investment. 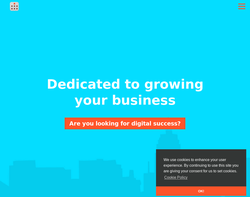 We are a digital agency who specialise is mobile app and web design and development. We have a very diverse range of skills and always produce industry leading results. We have worked with clients from a plethora of different industries such as sport, music, property development, financial advice, retail, manufacturing and recruitment. 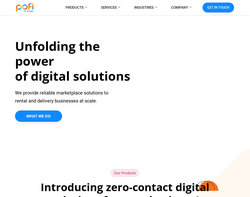 From sophisticated websites and e-commerce portals to collaborative social intranets, your organisation is only one click away from creating something special. 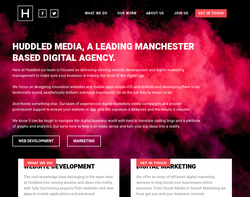 The Marketing Team is a Manchester based digital marketing agency with an established reputation in the industry The Marketing Team (www.redlibertydata.com) have an experienced team of digital marketeers who can build websites, rank sites and generate leads for your company on your own website no need to buy leads in anymore. we can also help ensure you generate your leads compliantly we can also help your business generate via social media, Google search and pay per click. MULTI VENDOR ECOMMERCE A ready-to-go multi vendor marketplace script with impeccable features for building your online store.Setup your online store instantly FOOD ORDERING SOFTWARE A powerful online food ordering script for launching a successful on-demand food ordering and delivery business. AIRBNB CLONE Choose HomestayDNN for end-to-end customized online rental solutions that take over by the best airbnb clone script. 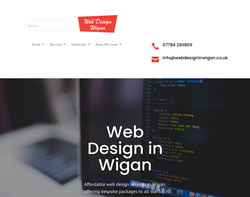 Whether you need a full blown e-commerce website (online shop with payments integrated) or a small brochure website to show your business on the internet, I will make sure it looks stunning not only for you but for your clients too. With over 6 years designing WordPress websites as a Freelancer, I feel confident enough that I can find the best solution for your business. Get in touch today for a Free, No-obligation Quote.